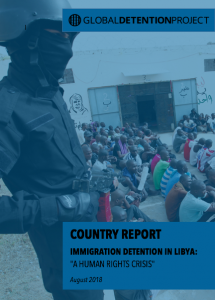 Libya is notoriously perilous for refugees, asylum seekers, and migrants, who often suffer a litany of abuses, including at the country’s numerous detention facilities. Conditions at these facilities, many of which are under the control of militias, are deplorable. There are frequent shortages of water and food; over-crowding is endemic; detainees can experience physical mistreatment and torture; forced labour and slavery are rife; and there is a stark absence of oversight and regulation. Nevertheless, Italy and the European Union continue to strike controversial migration control deals with various actors in Libya aimed at reducing flows across the Mediterranean. These arrangements include equipping Libyan farces to “rescue” intercepted migrants and refugees at sea, investing in detention centres, and paying militias to control migration.